It’s the 1990s and I’m in a middle management position. I have all the perks of an executive but, I’m miserable. I think about writing constantly. I take writing courses and belong to several writer’s groups. Looking out my office window, I’m completely lost in a daydream about quitting my job so I can focus on writing. I’ve been feeling the urge to leave my job for a long time. I feel the anxiety about returning to work overcome me each Sunday afternoon. It’s a feeling of dread that won’t go away. I keep ignoring it though, thinking there’s no way out of the life I’ve created. I feel trapped. How could I live without my salary? A few weeks later, while coming back into my office from the parking garage I catch my foot on a rain mat hidden under the snow and sprain my ankle. My ankle swells to the size of a small beach ball. I’m such a workaholic I never go to the doctor and I keep walking on it. Not long afterward, during the rainy season in April I trip on that same huge rain mat outside the office again. This time I sprain the other ankle. Another accident caused by not being present in my own life. In June I turn in my old company car and pick out a new one. Five days later, I’m driving to see a client when a police car races through a red light without lights and sirens and totals my brand new car! To say this was a nightmare is an understatement. I have to hire an attorney at my own expense to defend me. Luckily, there is a witness who saw the whole thing and thank God – he testifies at the trial. But, the judge doesn’t believe him. The judge dismisses the case however, because the offending officer never shows up to the trial. This experience taught me to listen to the Universe when it speaks. You see the first few times the Universe nudges us gently. We’ll feel a tugging in our gut to change something in our lives or to address a certain situation. If we ignore this gut feeling the Universe will turn up the volume thinking we haven’t heard its message. Each time we miss one of its cues, the Universe packs a bigger punch to make sure the next message is noticed by us. The urge I had to leave my job had been there for five years. 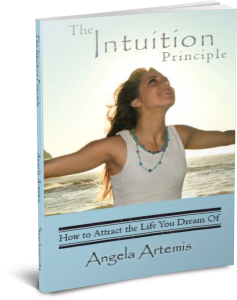 Prior to my “accidents,” I had lesser things happen to me that should have clued me in but, I’d been ignoring my intuition. I’d been more intent on satisfying my ego’s need for security, rather than my soul. After the car accident I “woke up.” I realized the Universe had been speaking to me for several years. I recognized all the other less traumatic incidents for what they were – signs I’d been sent and had chosen to overlook. I left the job and that career seven months later and it was the best thing I ever did. My life took off after that. I now know that my fears of how I would support myself had been stifling my growth. I had the power to change my life the whole time. All I had to do was change my beliefs – and I did. I had to leave in order to experience, first-hand, how the Universe always catches you when you take a leap of faith. I’d been so attached to the security of the job and the identity I’d created around it, that it took several bouts of pure havoc to get me to see what I had to do. What is the Universe trying to tell you? Think back over recent events. Be honest with yourself. Have you had any gut feelings and fears that you’ve been ignoring?” Is your ego too attached to something to allow you to sense your intuitive guidance? Are fortunate coincidences lacking in your life? Has your financial picture changed? Have you been ignoring your growing credit card balances? Are you using credit cards to supplement your monthly income? Do you refuse to cut back on spending habits? Take charge of your finances now so the Universe won’t have to send you a bigger sign to get your attention. Are your relationships in trouble? Do you have a nagging feeling your partner’s silence is more than a mid-life change? Has your child’s behavior changed? Have their grades slipped? Listen to your gut. If you feel uneasy about some aspect of your relationships take action. Would counseling help? Seek a qualified psychologist or family therapist. Don’t wait until things crumble around you. You might own a home and be resisting downsizing. Your ego may be stubbornly holding onto the notion of having the “big house.” The Universe may create a series of problems needing expensive repairs to get your attention. Are the health problems you’re suffering from due to stresses you’re facing in a life that isn’t aligned with your true purpose. Do you get sick around certain people? Is your energy sapped by being in certain situations? Is your life literally making you sick? Go somewhere you won’t be disturbed and relax. With eyes closed review all the signs you’ve been getting from the Universe. Ask your higher self what it’s trying to tell you to do? Go with your first impression. This is your intuition speaking your truth. If you’re having trouble getting in touch with your inner voice switch hands. Use your non-dominant hand to write with instead. 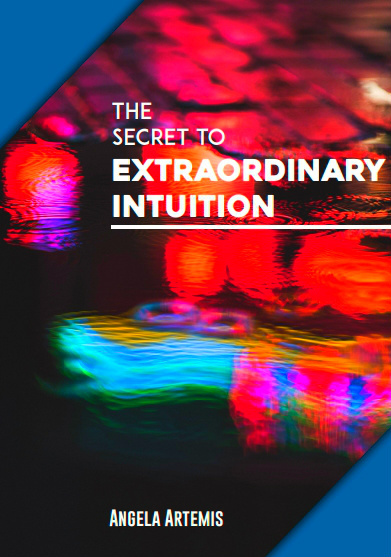 This can help you tap into more intuitive insights. Try to right yourself early on the in the process. Get back on the course you were meant to take in your life and the Universe will shower you with blessings and grace rather than swift kicks to get your attention. And for heaven’s sake – when the Universe speaks in the future – listen! Have you been experiencing signs you can no longer ignore from the Universe? Have you been ignoring the signs? What do you plan to do now to course correct your life? If you enjoyed this post please share it on Google+1, Twitter and Facebook. Thank you. P.S. Learn to hear what the Universe is saying to you. 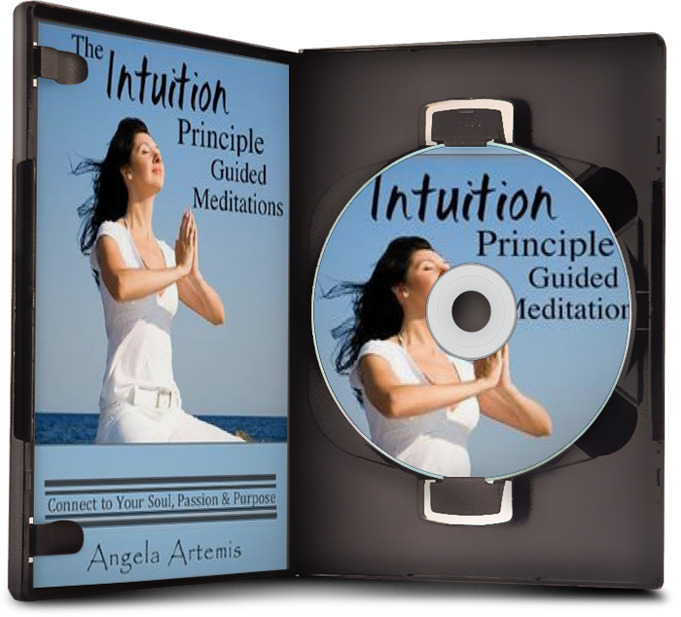 Develop your intuition – click here. I loved your story and completely agree with it as I am going through the same situation in my life. Glad to know someone has experienced a similar situation. I have been getting a feeling, a kind of sense since a very long time that does not seem to leave me. I have been ignoring that as I do not have anything to prove it and so no one believes in me. I do not have the courage to go ahead and am very scared to take any action on it. Also, I keep getting physical signs which are catching my attention and following me wherever I go. The same things are repeated over and over everyday. When I ask any question to my intuition/god/angels I see the same signs and not the answer to my question. How to interpret the answer? Also, I am getting white feathers almost everyday around my house. I checked but there are no white birds around. I do not understand how to go ahead or take any action without having any proof? Is there any way? Can you please guide me on this? I was deeply moved while reading this post as it made me remember what I had been through in my previous job. Two years ago, I had difficulty dealing with a boss. That, coupled with the feeling of misery I have long been harboring, forced me to resign from my job. I resigned without a job waiting for me somewhere else, and I know others thought it was a really stupid decision. I’m so glad this post “spoke” to you. I had hoped many people would be able to relate to it. It looks like the Universe has been speaking to you too. I’m sure that you’ll find the kind of work that will stoke your passion and allow you to live your passions. Thank you so much for visiting and sharing with us here. Hi Angela — thanks for sharing this story — I know I’ve definitely had experiences recently where it seems like I’m seeing my path in a way I haven’t before — the most odd example is that I randomly came up with the idea to make some ridiculous YouTube videos under the name “Johnny Signs.” It’s weird but I’m going to follow it wherever it leads! Really? Maybe it’s not so weird. You may have been intuitively inspired to follow this path. I think you’re right to follow it wherever it leads! I’m going to check out your videos Chris. Thank you so much for stopping by and commenting. What a wonderful blog you have, Angela. I just stumbled upon it but will surely follow you from now on. I recently wrote a book entiled “Ancient Spirit Wisdom: An Elder’s Guidebook to Native Spirituality and Beyond” that I think you may enjoy. 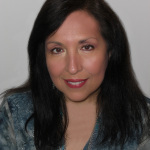 It is an indispensable guidebook to ancient spiritual wisdom from a former-life native American and Spirit Guidance perspective. It will raise your conscious awareness and help you understand the necessity for humanity to wake-up and make a choice, now, between the light and shadow energies. I’d love to connect elsewhere since we seem to have a lot in common. You can find me on Twitter at @spiderspiritwmn. What a pleasure to meet you! Thank you for the lovely compliment. Was it written based on your past life? Thank you so much for commenting and stopping by. Thank you my dear friend. I’m so glad you enjoyed this article. Thank you for bookmarking it too. Recently I was inspired by a sand dollar I found on the beach. It was the perfect metaphor for a talk I was giving to see children as individuals. I wished I could have one for the 10 people that would be there that day. Amazingly, as I walked down the beach I found 15 sand dollars all together! I felt as if the universe was supplying me with huge inspiration! Wow, the Universe did hear you loud and clear, didn’t it? It’s amazing when we’re on the right path how everything just “shows up” in our lives to confirm we’re on track. I love it! I also love sand dollars – oh heck – I love everything about the beach to be perfectly honest! I’m so happy you enjoyed the post. It’s so much easier to keep on doing what you’ve been doing than to take a risk and change. When it’s in our best interest to change the Universe will fire a warning shot – if we don’t hear that than watch out! I’m glad you found this to be a good reminder. Thanks so much for coming by and visiting. It’s a pleasure seeing you. I had a similar series of messages some years back when I needed to change some fundamental things in my life. Finally, it took two trips to the emergency room for me to get the message. Now I try to listen sooner!! Great post. And thanks for sharing some of your own journey. OMG! Two trips to the emergency room? You poor thing. I do know what you mean though. I also listen sooner as well. I’m glad you enjoyed the post. I definitely feel that way about my 10+ years with V. I kept getting signs but didn’t listen. Since we made the decision to part my life has changed. Everything is better. We all stick our heads in the sand once in a while when we’re not ready to hear the Universe’s message. Now your life is on track again. Thank you for your wonderful sharing. It’s amazing that the universe has been giving you signs to prod you in a more spiritual direction. It’s also great that you have finally taken the step and now realize that everything is coming together for you. I know that you’d do awesome work, something that aligns with your soul and that serves many many people. To your continued success, joy and abundance! Thank you Evelyn. I’m glad you enjoyed the article. I think it’s great the Universe gave me signs too – I only wish they hadn’t of been so painful! It would seem almost all of your articles speak to me in a very timely manner. Thank you Ms. Angela and to what power that led me here and for what I must learn. It’s always a pleasure to have you visit. I’m glad these articles are timely for you too. When our minds are open the Universe will pour in the knowledge we need! I have a young friend that drinks too much. She actually broke her foot on an airplane when she passed out. Yesterday she sent a photo of her black and blue leg and reinjured foot from when a snowmobile flipped when she was on vacation in Iceland last week. I told her she’s going to die if she doesn’t get these lessons. It’s so sad. I’m not sure what I can do for her. She lives out of state. oh just came to mind…send love, light and prayers her way. Oh my. You friend needs to get a handle on her drinking doesn’t she? She obviously doesn’t get the lesson. Good idea to send her love, light and prayers though. She may need a good 12 step program though…. And how do you suggest I get her involved in one??? That’s coming from a former adiciton counselor! She ignored my text about losing her life. Gosh, that’s a good question. That’s right you’re an addiction counselor. If she ignored you – who would she listen to? The title itself is a sign to me from Universe; in the midst of allowing my heart whispers to become my reality, some moments are riddled with self soubt. Universe sends affirming signs to continue to create and allow for..exactly when I “need” them..if I ignore these signs, I will remain “stuck” if I follow these signs, I will be “moving”…. I choose to move..joyfully and with ease..thank you for yet another inspiring article! I’m so glad you choose to move with the Universe and follow its signals rather than wait to be kicked like I did! I’m happy you found it inspiring too. It’s such a pleasure to see you here too. Thank you for linking to my post as well. Thanks for sharing so openly, it is amazing what can transpire when we don’t listen to that small quiet voice within. Seems like the universe always has something in store to remind us to awaken to our knowing. I’m glad you enjoyed this article. I normally wouldn’t share something like this but it was the best way to show how the Universe might communicate with you. Definitely, listen to the small quiet voice within – when we don’t it gets louder! It wasn’t until a few years ago that I really began to notice synchronicities in my life. I do my best to stay present in the moment and the key here is to pay attention to internal and external clues. Becoming aware of synchronicity is a huge eye opener isn’t it? You’re so right. Staying present does help for sure as does paying attention to your emotions. I’m so happy to hear from you. Oh, you’re going through a rough patch I can see. There are definitely red flags all over the place. I’m sorry to hear about the passing of your parents and your divorce too. That’s a log of stressful things going on at once plus, not having a job you enjoy with a psycho boss! Maybe you can start doing something that utilizes your talents more on the side? Could you offer your sewing and design skills to customers who have clothes they want to bring to the consignment show but they need repair? I don’t know I’m just throwing it out there. I think you could probably make as much as your making now an hour don’t you? Let me know how your doing? And, happy (almost) birthday. the universe is moving soooo fast, i think of something i want and it comes almost immediately. your posts are right on time and time is moving at lightening speed theses days at least for me. Thank you for the inspiration and timely insights. To listen to my inner self is the key, its always right. How lovely to hear from you. I’m so glad my posts are right on time for you too! The world is moving too fast. I agree. Definitely to listen to your inner self is always the right way to go! “There really are no accidents” Your article makes this crystal clear! There have been times I thought I really got this message – but then I would get it again – meaning…. sometimes I ‘forget’ there are no accidents. Typically that’s about the same time I’m not turning inward to listen to intuition and not connecting with the Universe – and yes typically that’s when I get too busy with life – or also known as – falling off the real path. So true – there are no accidents. If we don’t heed the message we get in the beginning we will get a swift kick from the Universe to put us back on the right path. It’s so easy to get busy and forget to go inward for answers and guidance. Especially when were stressed we want immediate solutions. Slowing down to go within doesn’t sit right when your all jazzed up. Nice reminders Angela! I actually took that plunge last year in regards to leaving a job I just was not happy with….and then discovered since then, that I had much growing and letting go to do emotionally. The messages I have been receiving is to take action on what it is you desire to do. Not to be afraid but just face it. Face my fears (this is after doing an emotional cleansing). Taking action on my desires — I have noticed how the universe does realign things / situations to assist with what we choose to do as long as we trust. My needs have been taken care of and I do feel I am living a very abundant life right now. I won’t say it is the easiest thing to do when there is fear involved, but once you get enough courage to say enough is enough…and I am just going to live my life…things really magically work out. I love that you took the plunge after recognizing what the Universe was saying. That’s great. I think you’re right if we just trust we will see that we are supported. I do believe things will magically work out for you too! Wow, I really felt for you with all those accidents! Happy to know you are well now. Sometimes, I think the universe is telling me things, but still lack the confidence to admit it. Does it take time to know? How are you? It’s so nice to see you again. If you close your eyes and go over the things that have been happening you may recognize a pattern. Just relax and ask yourself what it’s trying to tell you. This that you have written – and your own personal experiences – so, so wonderful. Your first hand account of how this worked in your life, such a gift here. Yes, the Universe wants to see us reach our dreams and aspirations. Are we seeing the “signs” the Universe is providing?? I’m so glad you enjoyed the article. I don’t usually share this much information about myself but it was the best way to illustrate how we receive signs from the Universe that our lives are off kilter. I’m glad you are being nudged now to listen to the Universe. Hopefully you won’t have to get any swift kicks in the backside like I did to hear its message! Thanks so much for coming by and commenting. Thanks for providing a closer look into you. I strongly believe there are no accidents without value. Clearly when accidents happen, our first thought is on the pain or setback, but as you write, the real value of each accident eventually ekes outs. The Universe does indeed take us where we are meant to go – even when we feel we are only tripping and falling our way there. Yes, I think when we look back at our lives a pattern emerges, if we’re willing and open to seeing it. When we identify these patterns as negative we have a choice of either facing it and fixing it or letting get out of control. I let things get out of control and until I was so emotionally battered that I no choice but to make a decision to change my life. Hopefully my tripping and falling days are in the past! Thanks so much for commenting. I have tended in the past to ignore things that don’t compute, aren’t logical. However when you look at it, what is? Follow your gut, your heart and stick at it. Thank you. I think we all have tended to ignore things that don’t compute. I’m glad you enjoyed this article. Thanks so much for commenting. You’re story is so moving. Thanks for sharing so honestly with us. Wow, two ankles, same mat! I’m sorry you had to go through all the suffering and happiness. Yes, I’m afraid I ignored the signs for many years. Like you, I was a workaholic, also ignored my body and rarely went to doctors. I would just keep working pushing the injury or unwellness into the background. In the end, it didn’t bring me to a good place. But gradually, I’m getting better at listening to my intuition. Money, health and relationships. Those are the three key areas. This is a terrific primer for tuning into the signs. Thank you. I always need a little extra encouragement with this. I’m glad you enjoyed the article. Yes, it sounds stupid now but – same mat twice! It was as if the Universe was trying to wake me up about entering that building saying, “Don’t go in there!” I now have two ankles that swell constantly. No more swanky high heeled pumps for me. Being a workaholic is so punishing on us physically. I’m glad you’ve changed your ways too. Thanks so much for stopping by and commenting. I’m glad you’re getting better at hearing your intuition. It certainly helps. I can attest to that. OMG, this is GREAT, Angela! I love signs, definitely pay attention, and have even written about that. But this article is especially great because first, I couldn’t stop reading it word for word (great writing! you knew what to daydream about, didn’t you?) and also because you give some great, real life examples of signs that can be taken seriously for important and pivotal direction. So excellent! I also love how this illustrates that intuition and signs are not just for the kooky who believe in unrealistic fakery, but for everyday people who are willing to acknowledge that they have a lot more awareness than they often give themselves credit for. OH! I almost forgot! Right from the beginning I also loved seeing that you are pointing us off to related reading on other sites. I’m eager to get out and check some of them out, and THANK YOU for including mine! Lots of blessings 😉 to you. I’m glad you enjoyed the article. I thought my story would be a good way to illustrate how the Universe tries to get our attention. In my case I wasn’t no longer enjoying that job but I refused to do anything about it so the Universe sent me one sign after another relating to my job until I got it. You’re welcome. Thanks for writing a great article on Blessings. You are on a roll lately. Either that, or the universe decided to give some pbi counseling sessions, because I seem to sit down at the computer at the exact moment your articles get published and they pop right up in front of my face! I also identified the one thing the universe has been slightly dinging me on – will get right on that one before the signs get bigger 🙂 Thanks for a great article! I’m glad the article brought to light the thing the Universe has been “dinging” you on. Great! Definitely deal with it before the Universe has to up the anti and send out the troops to get your attention!